After Lucas Carver met Kimberly Hughes while playing football on the Virginia Tech drillfield with friends, Kimberly made sure to add Lucas on Facebook. Kimberly's father had a rule for her: she couldn't get engaged until she graduated college with a bachelor's degree. 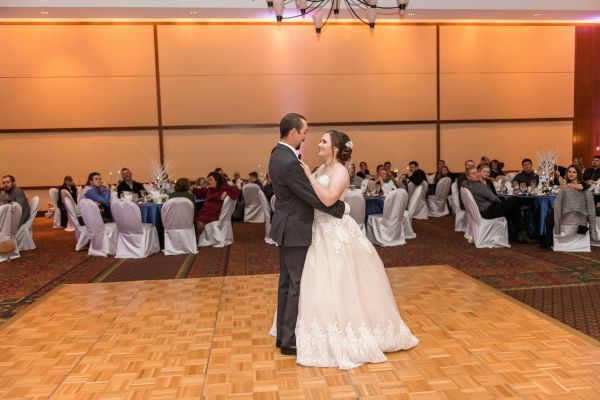 The day after she graduated in December of 2015, Lucas created a driving tour around their favorite spots in Blacksburg and Christiansburg, ending up back on the drillfield, where Lucas got down on one knee and asked Kimberly to be his wife. 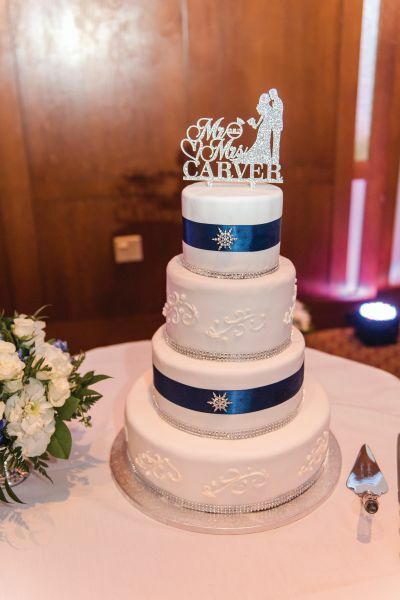 The couple's winter wedding was timeless, with its colors being white, navy blue and silver. 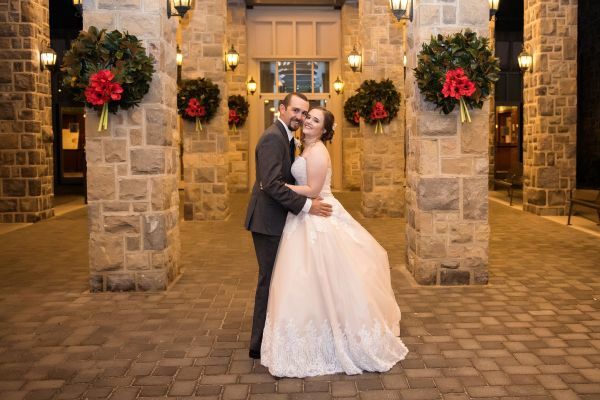 The ceremony was performed by Lucas' father, a Baptist preacher, and the reception was everything that the couple had hoped for. 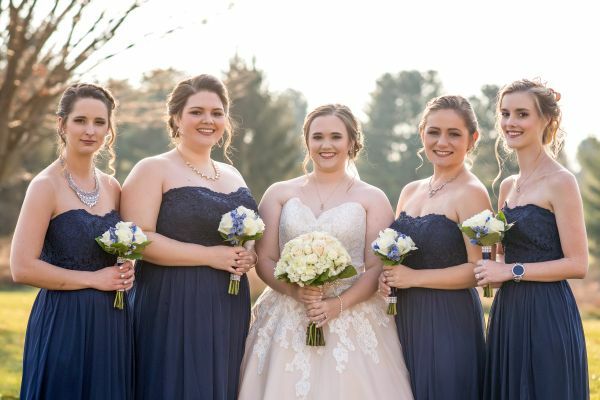 However, their favorite memory of the day was when Lucas' fraternity, Kappa Kappa Psi, gathered together in a circle around the couple and sang a beautiful hymn, seeming to almost bless the marriage, making Kimberly tear up because of how much it meant to her. Because Virginia Tech played such a pivotal role in Lucas and Kimberly's relationship, and because many of the wedding guests had either gone to Tech or were fans, the Hokie Bird came and took pictures with the guests, allowing for the couple to celebrate their big day with a fun and personal touch. 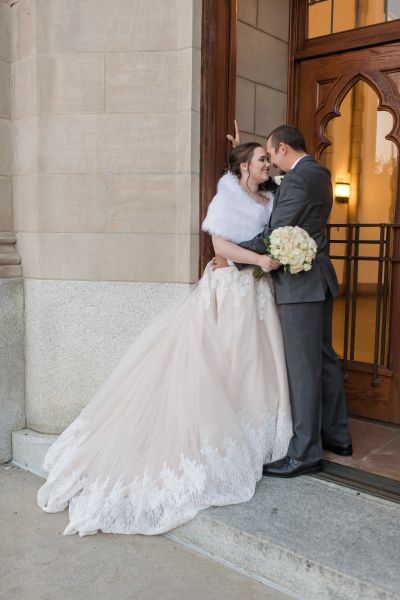 Make sure to see more of the Carver wedding on page 66 of bridebook!